It has become a bit of a craze lately for bands to release remix albums. The remix versions of these tracks often really compliment the original album and I regularly find myself preferring the newer versions to the original album version. 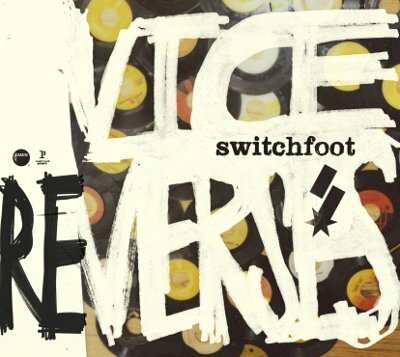 Now the mighty Switchfoot have jumped on this bandwagon with a remix EP named 'Vice Re-Verses' featuring six remixes of songs from the group's most recent album 'Vice Verses', which was released last year. Read More It has become a bit of a craze lately for bands to release remix albums. The remix versions of these tracks often really compliment the original album and I regularly find myself preferring the newer versions to the original album version. Switchfoot have called in some friends to do the remixes. "Some of our good friends in bands we love decided to remix their favorite tracks from Vice Verses", explained the band. "We had so many amazing submissions, we decided to release a remix EP. We are really stoked for you to hear these tracks!". The tracks on 'Vice Re-Verses' have been remixed by Paper Route's JT Daly, Owl City's Adam Young, Photek and Mutemath's Darren King. In addition to these well known artists, Switchfoot band mates Drew Shirley and Jerome Fontamillas provide a remix of 'The War Inside'. So is this album just a band experimenting in different sounds than we might usually hear on their albums, or is this just an EP for very keen fans? The simple answers is yes to both. 'The Original' has a quirky funk to it, if the original had swagger this version has a more fun party element to it. The song has some clever brass sections within it, especially in the middle, which are well worth checking out. As with a lot of modern remixes this isn't just a slightly different version of the song, this is a whole new song with new life. 'Selling The News' soon turns into a dark slow trance dance tune. With its more haunting beat, again this really is a very different version of the the track. Sometimes taking a song and turning it on its side can really add a whole new dimension to a song and this is one song on the EP that does this. 'Blinding Light' and 'Dark Horses' are again both solid versions of the songs, adding a different twist on how the person remixing the song thinks they would like it to sound. The original album's best track was title track Vice Verses, and this new version starts off very similar in tone and tempo, with added dance beats within the song, and extra beeps and bleeps giving it a different feel. This could be the marmite track of the album, you will either love it or hate it... I myself love it. The EP ends with The War Inside, which is by far the most different and dance-like of all the tracks on the EP providing extra spice to end the album. It's nice to see rock bands actually trying something different. For me I really really enjoyed this album. It has some really great tracks that are completely different to the original versions, but still with that great Switchfoot sound and quality. This will be loved by fans, but more than that, this shows a band who are not scared to go out and actually say 'we are a rock band, but we love to be a bit different'. Switchfoot have never played the game by the book and they are not about to start doing it now.